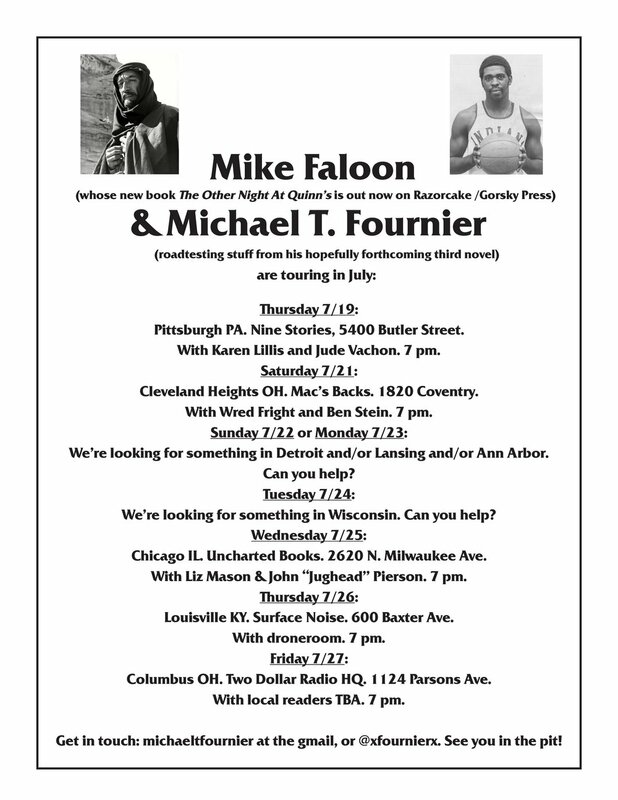 Here are the dates for this summer's tour with Miek Faloon. We'res till looking for help in Michigan and/or Wisconsin -- hit me up if you can help! My review of Stephen King's new one is up on Chicago Review of Books today. My review of Meg Wolitzer's new novel is up on The Collapsar. Dead Trend's third release is available now. I talk to those hosers at You Don't Know Mojack about "Double Nickles" here. Dig it! I wrote about Weird Al's 'Polkas on 45' for Memoir Mixtapes.